How many Hans Dampfs can you eat? 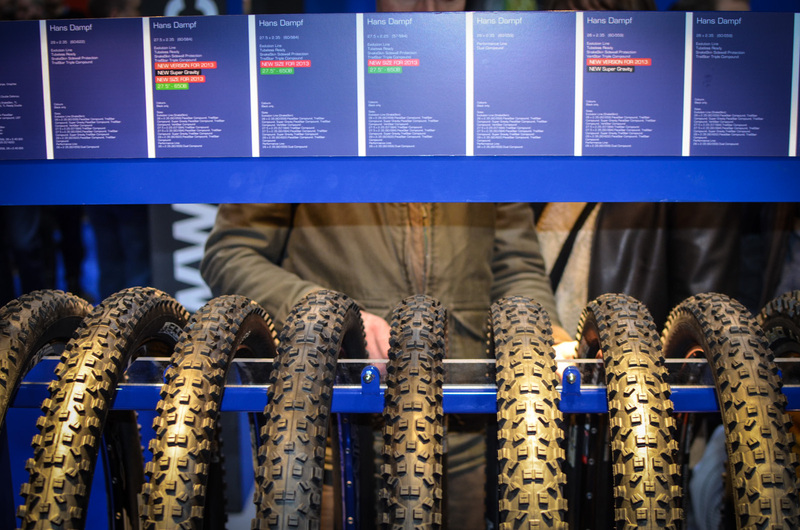 Schwalbe’s already-classic Hans Dampf tyre is now available in every mountain bike wheel size you choose to run. 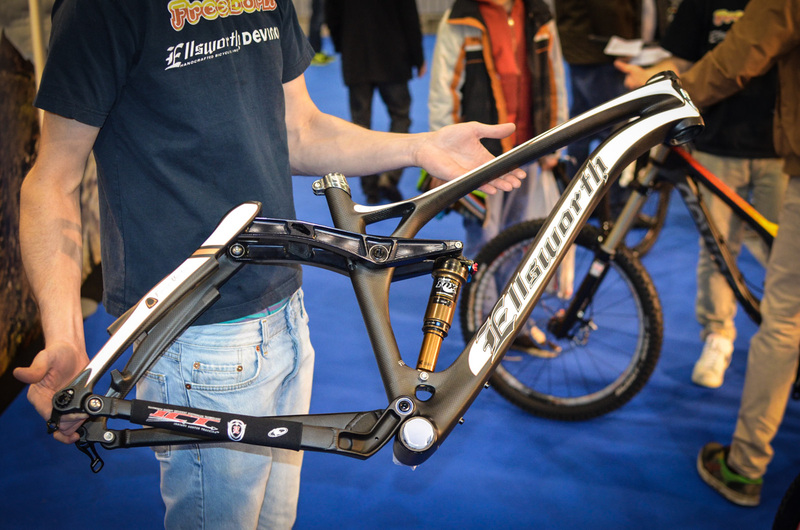 It’s also available in a new ‘Super Gravity’ guise with tweaked carcass and triple compounds. Salsa Fargo. Not changed that much for 2013. Pretty much dialled as an adventure touring bike. Salsa Beargrease. 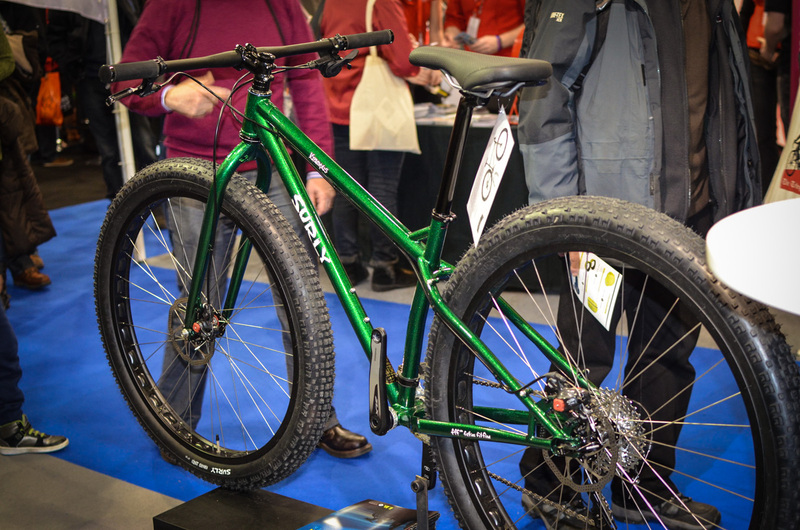 A fat bike. Named after a Northern Minnesota huskies race, we think. 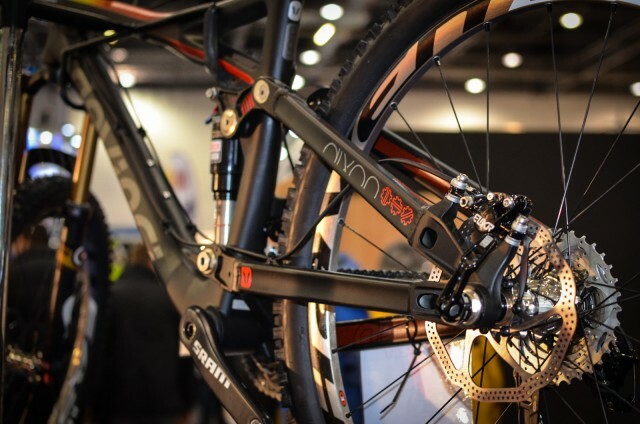 Nice tapered alu fork. Salsa El Mariachi singlespeed specific edition. Close-up of the back end for all of you sort who like that sort of thing. Salsa El Mariachi again. Nice paintjob innit? Salsa Spearfish. Full suspension 29er. 80mm travel at both ends. 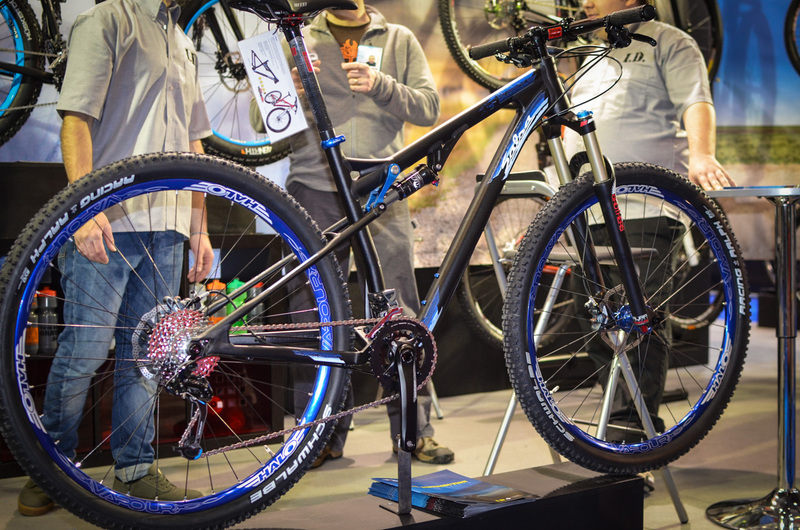 Kinda like a soft-edged hardtail rather than a full-on ragging bouncer. Salsa Horsethief. 120mm full suspension 29er. 142 back end. The S-shape down tube is new for 2013 (last year’s was hockey-stick shaped). Flex stays at the back, as a pivot in that location would rotate less than one degree, apparently. Nice fact that. 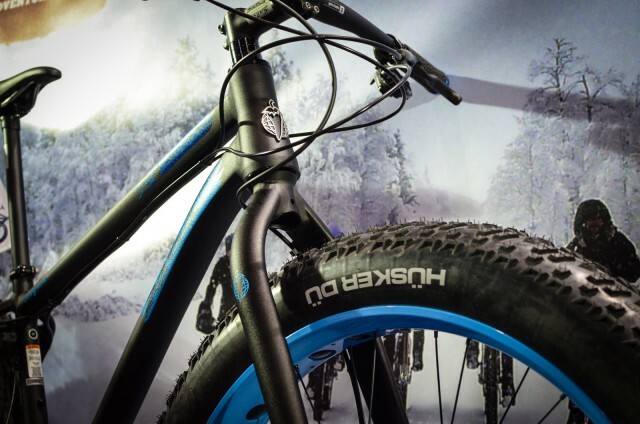 Yet more Fatbikes alert! 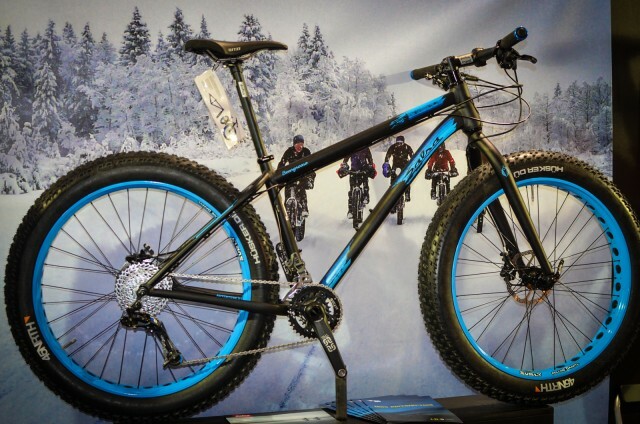 This is a 29er fatbike. Oh lord help us. 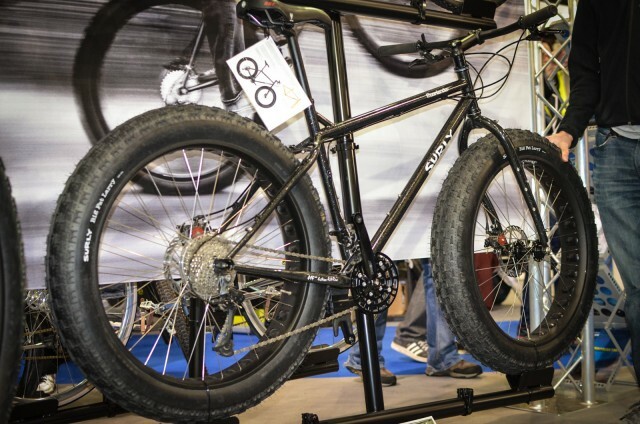 Actually, Surly don’t want you to think of the Krampus as a fatbike. 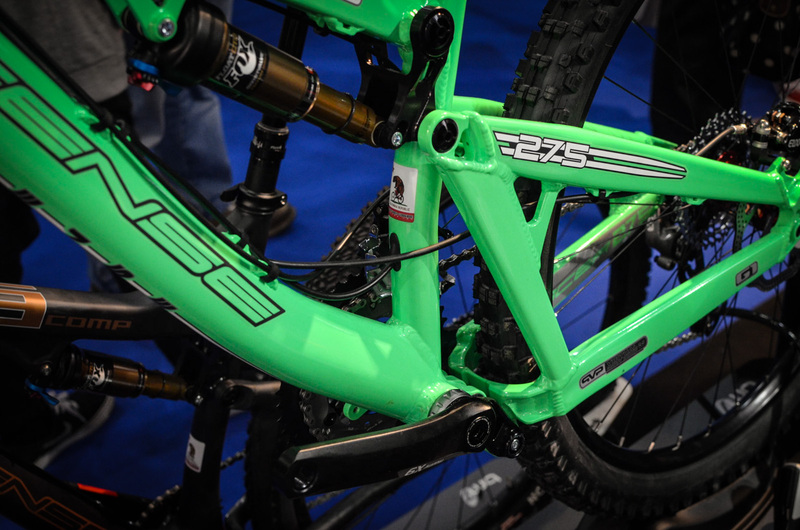 It’s a 29er that fits 3in tyres. 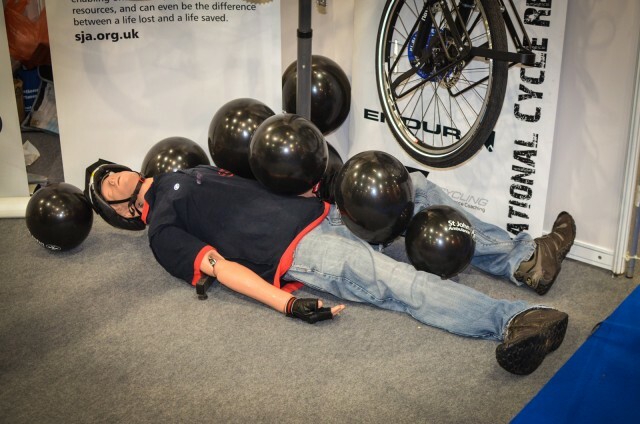 It’s a traction bike. It was designed by a BMX/trials rider. The outside diameter of the tyre is 30.5in. Mental. Not so much odd stuff required to build up a Krampus; the BB and cranks are normal MTB. The tyres are 120TPI and weigh about 800g, much much lighter than a full-on fatbike affair. Right. This is a fatbike. 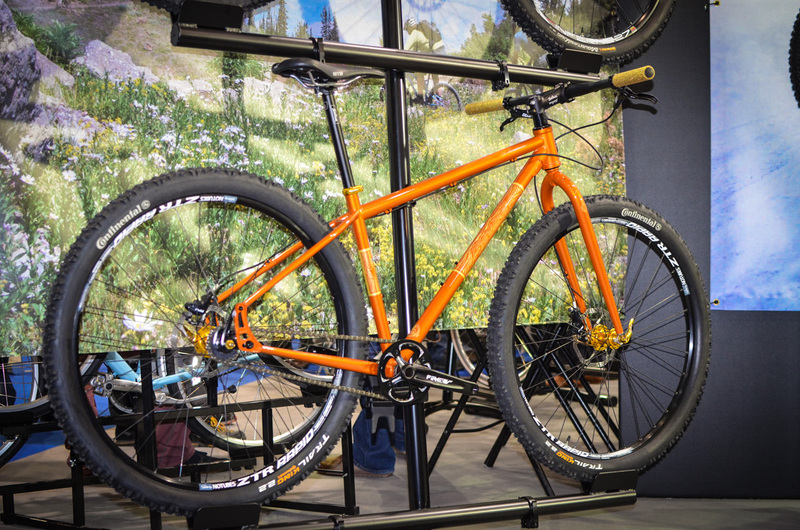 Surly Moonlander. Intended as a bike for extremely loose sand/snow conditions. 5in tyres. 100mm wide rims. 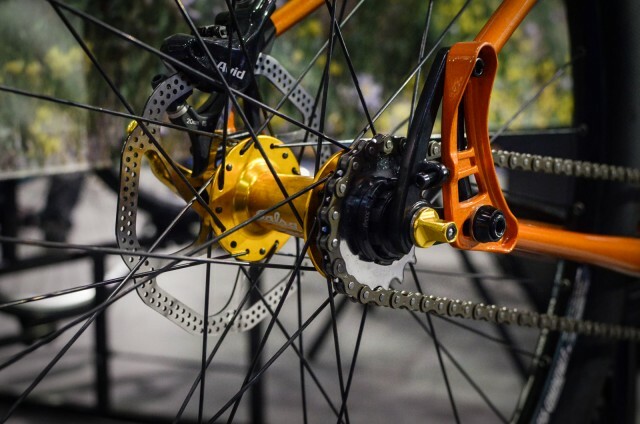 Offset chainset with 100mm BB shell, the middle ring occupies the outer ring position for a decent chainline. 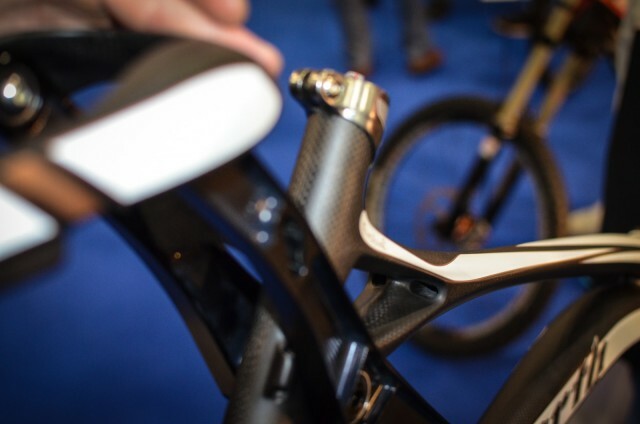 The left fork leg is curved/offset so you can run the rear wheel in the front and vice-versa. 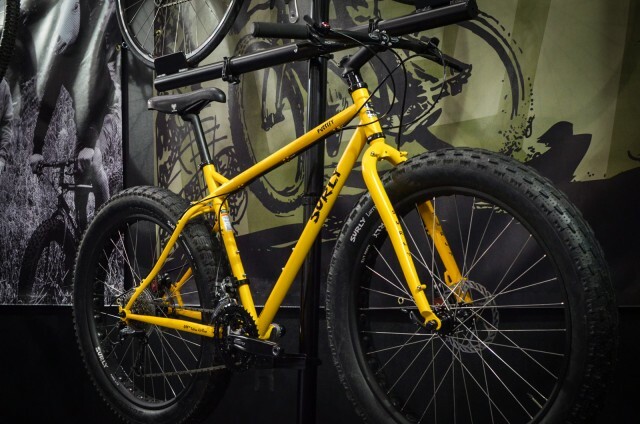 One of the original fatbikes. 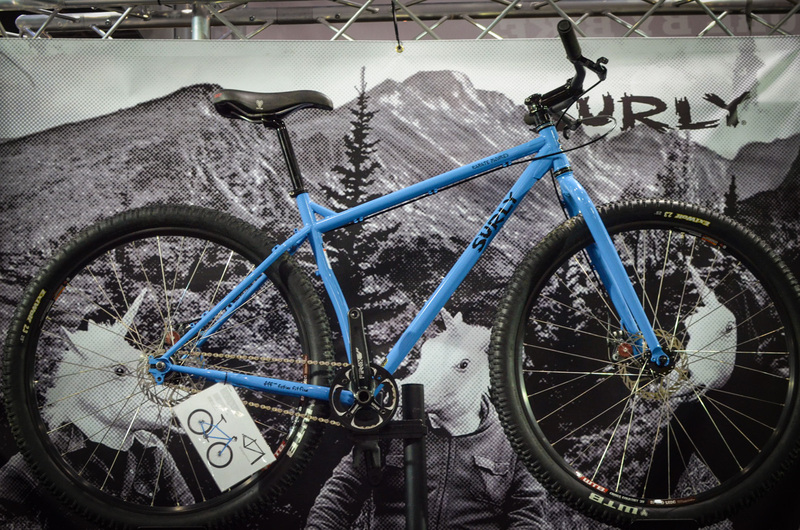 Surly Pugsley. 4in tyres. 100mm BB shell. 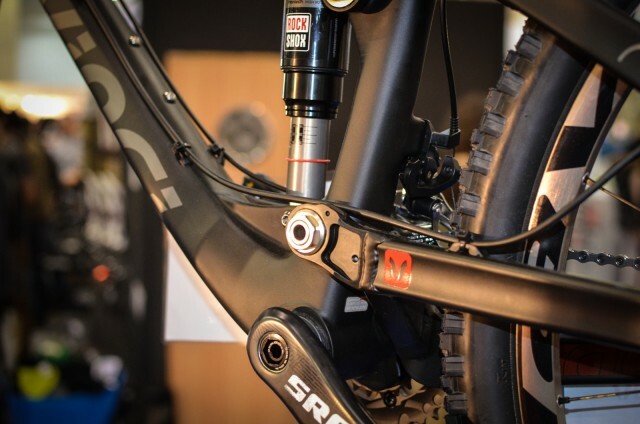 135mm front fork axle spacing. A mixed conditions fatbike(!). Whatever. It’s a great yellow. The Surly Karate Monkey looks positively conservative amidst all the fatbikes. 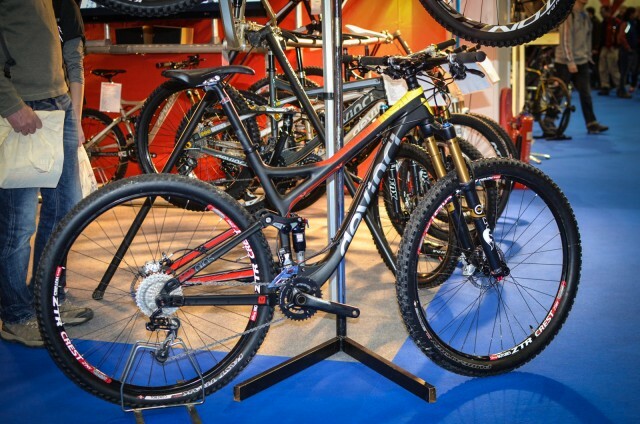 Fully rigid 29er. A surprisingly nippy and fun bike to ride. Again, nice colour. It’s the Evolve from Ellsworth. 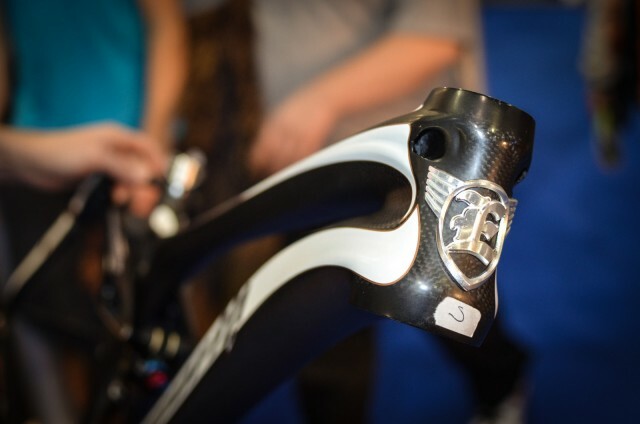 Ellsworth’s first carbon fibre bike. 120mm. 29er. Trail bike. 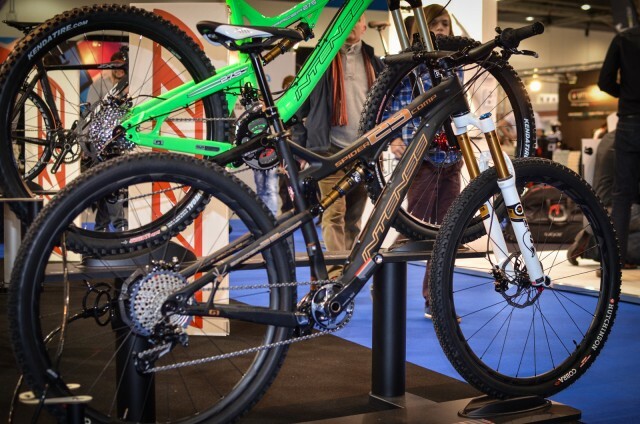 Devinci Atlas Carbon 29er. 110mm rear. 110-140mm front. Super short chainstays, only about 5mm longer than your typical 26in stays. More Devinci Dixon. 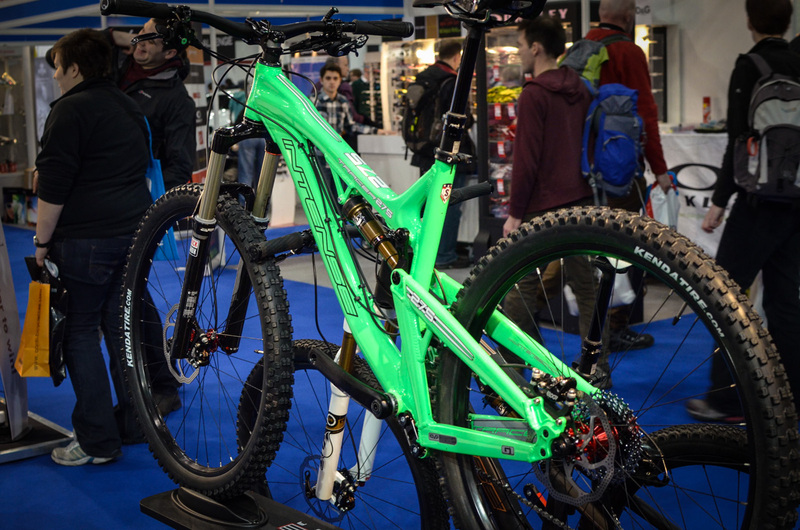 A pretty sorted looking bike this. Devinci Dixon. £2000 frame. 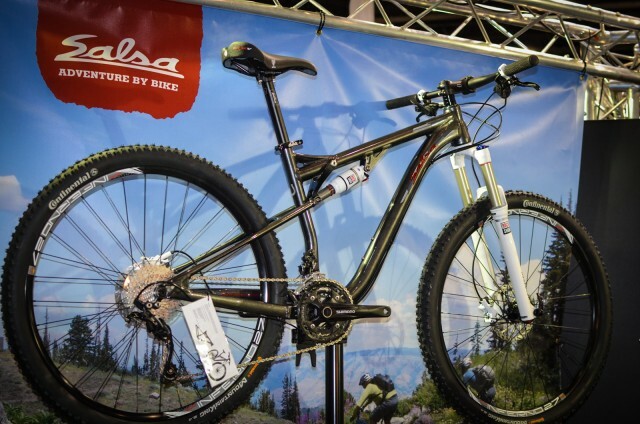 Complete bikes from £3599, inc Fox 34 and Reverb post. Lifetime guarantee on the frame. Ellsworth again. One of their more traditionally garish alu offerings. The Evolution. 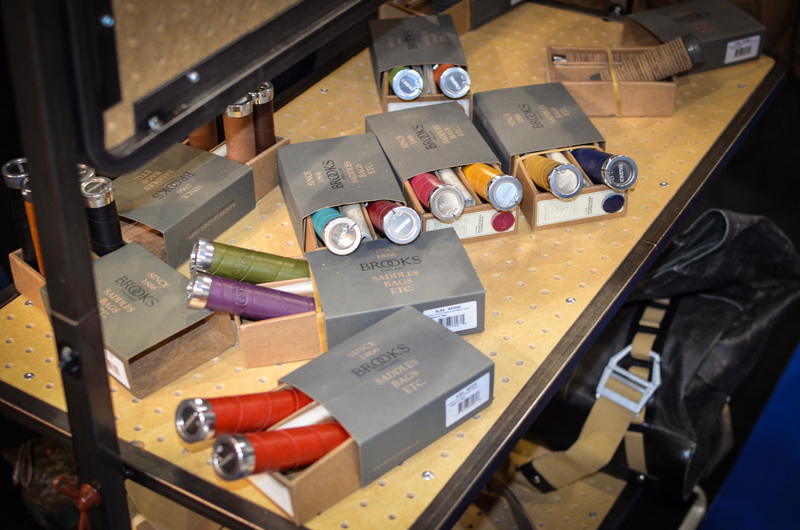 Brooks locking grips. Nice colours. Montane Atomic Stretch jacket. £149. 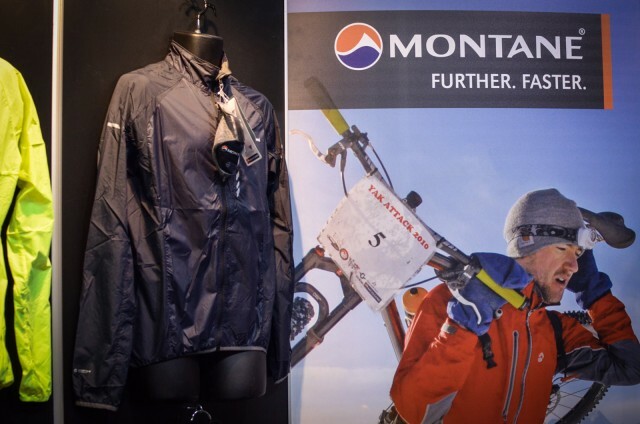 Montane Singletrack jacket. 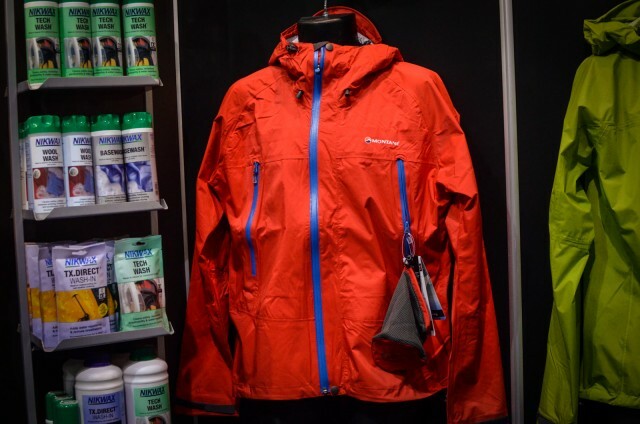 The mountain bike version of their popular Velo road jacket. Thicker Pertex is used in the arms for rufty-tuftying. £59.99. Topeak’s continuing obsession with bling chain tools. Here’s the Link Meister. 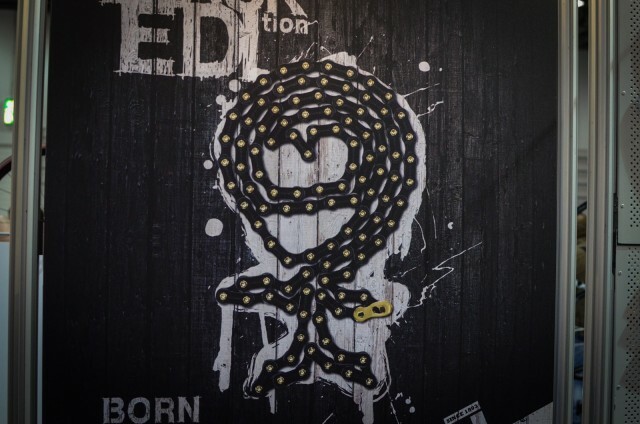 Black linked gold pinned chain from Connex. Just the thing for your black and gold Orange Five. Oh yes. 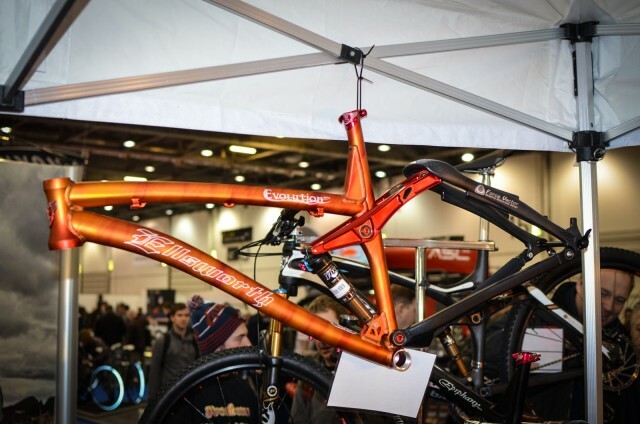 The most desirable frame in the world? 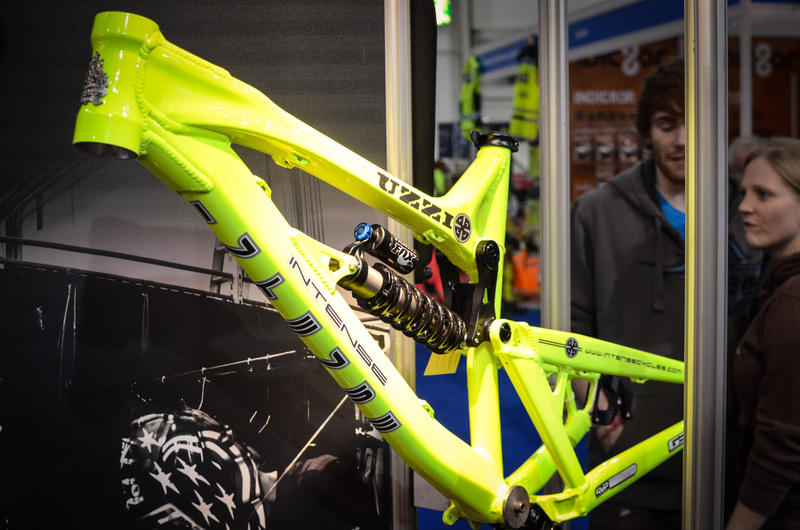 Flouro yellow Intense Uzzi. Intense Spider 29 Comp. SRAM XX1 and everything. 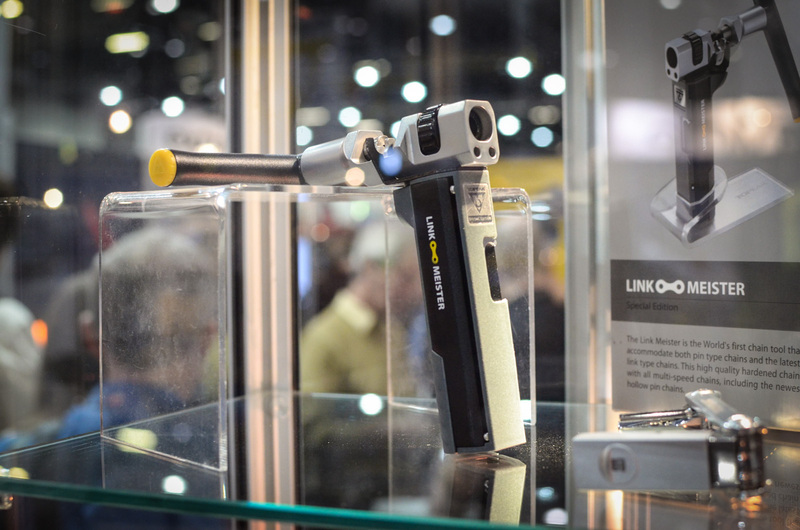 Intense Tracer 275. 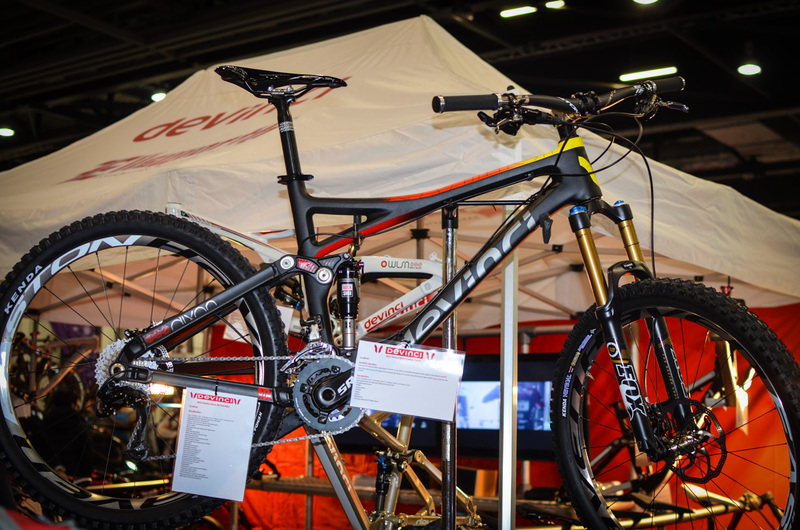 Yep, a 650B version of Intense’s signature trail bike. This 650B version now means that the Tracer is available in 26in, 650B and 29er flavours. 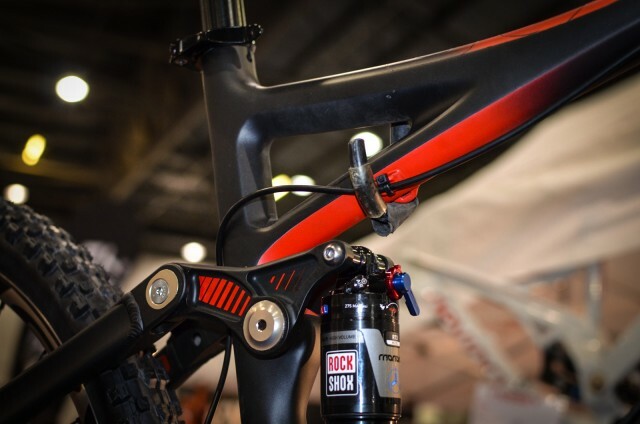 Is that a unique thing in the mountain bike world? We think it might be. Great coverage. Ta very much. wtf is that seat angle about? The Intense Spider 29, wow me wanty! 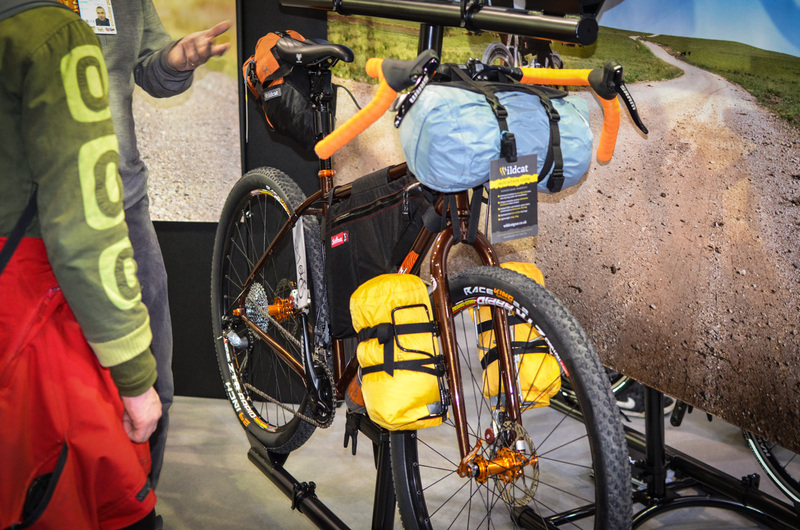 I’ll have a Fargo, KM and that carbon Ellsworth. 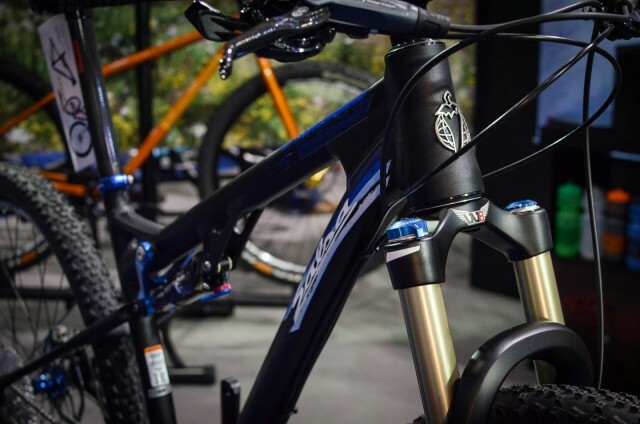 Thought Spearfish was 100mm front/80mm rear? Nicolai do a Helius AC in 26, 27.5 and 29, not just intense with the tracer..
Fargo tempting but a bit OTT for me. Fargo lite?